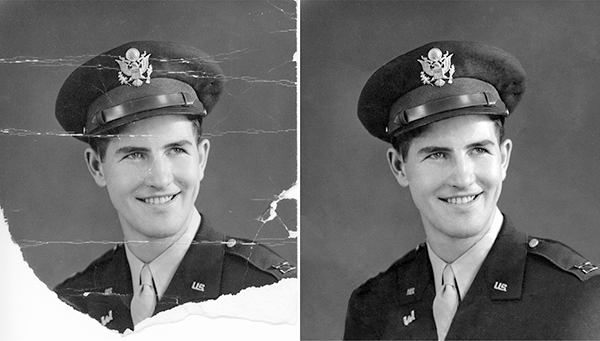 Dust & Scratch Removal $50 + Portrait Prices ($24 per 8"x10") . 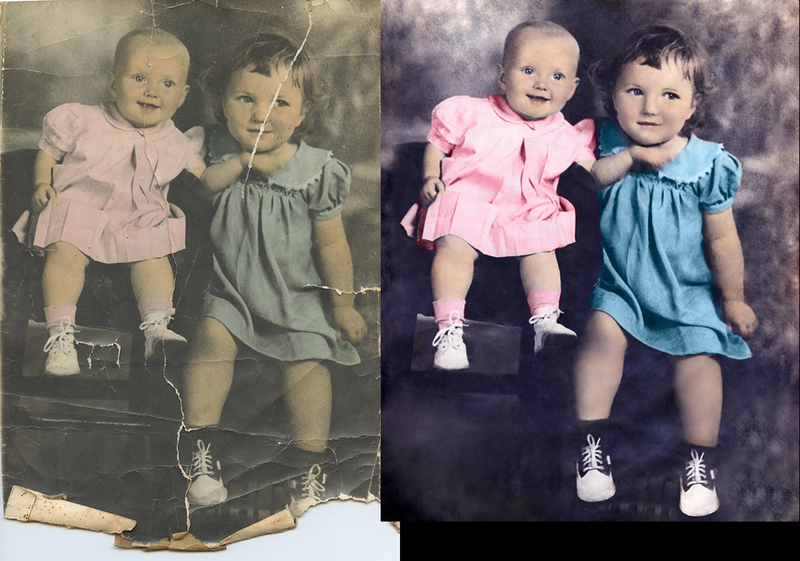 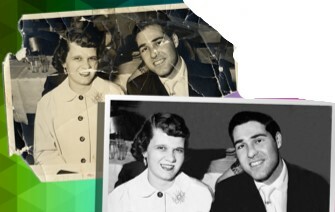 . .
Minor Restorations $100 + Portrait Prices ($24 per 8"x10") . . .
Major Restorations $150 + Portrait Prices ($24 per 8"x10") . . .